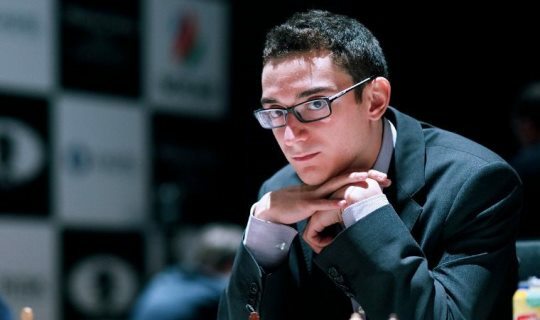 United States Chess Champion and number-two player in the world Grandmaster Fabiano Caruana is taking another step in furthering his already illustrious career. Team Caruana is excited to announce Chicago attorney Rhonda S. Coleman as Fabiano Caruana’s new manager. Coleman will draw on her experience in sports and entertainment and transactional law to spearhead Caruana’s team and bring a level of professionalism to the goal of capturing the world championship. “I’m excited about the opportunity to help Fabiano harness his considerable talent,” says Coleman. In addition to her extensive experience in corporate law, Coleman has negotiated contracts and deals in the world of sports and entertainment in her previous work with the Big Ten Network and Fox Sports. She will bring these experiences and her proven organizational leadership skills to Team Caruana. 2016 has been an exciting year for Caruana as he moved to Saint Louis, Missouri and immediately began to have a great run. He started the year with a second-place finish in the Tata Steel Chess Tournament. He also finished second in the Candidate Tournament in Moscow and the Shamkir Chess Tournament in Azerbaijan. Caruana’s crowning achievement in 2016 came in Saint Louis as he captured the U.S. Chess Championship in his first time playing in the tournament. He followed with a second place finish in the Sinquefield Cup and helped lead the U.S. Olympiad team to its first gold medal since 1976. With the addition of this new partnership, Team Caruana will continue its growth and the world will be seeing and hearing more about the United States Champion.